Dr. Richard Bebb, MD, ABIM, FRCPC, Endocrinologist, discusses treatment options for hyperthyroidism or Graves disease. Treatment Options for Hyperthyroidism (Graves' disease) Dr. Richard Bebb, MD, ABIM, FRCPC, Endocrinologist, discusses treatment options for hyperthyroidism or Graves disease. There are three main treatments available for Graves' disease. 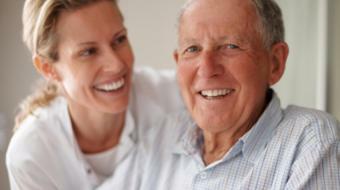 The choice is a personal choice for the patient, depending on their wishes and hopes. The old treatment, if I could say, which goes back for decades or centuries, is actually removal of the thyroid. While it may seem somewhat draconian, some patients do choose that route, and we occasionally have to resort to it in certain circumstances. For most patients, however, it's the other two options which are more attractive. That includes taking radioactive iodine as a drink, which will, in essence, kill off your thyroid and should be looked at mostly like surgery without the scar on your neck and the anesthetic risk. Or taking anti-thyroid drugs to slow down your thyroid, restore it to normal and, hopefully, that state will stay. When you take radioactive iodine, an appropriate dose, most patients' thyroid levels have dropped to low within two to three weeks to two to three months. It's a permanent condition. We do that because it's very, very easy to treat an underactive thyroid, but hard to treat an overactive thyroid. Leaving someone in an overactive thyroid state has some significant health risks for them. The problem with the anti-thyroid drug is, although they're very effective, bringing your thyroid levels down to normal, and we'll tend to keep you on them depending on your practitioner's beliefs, 6, 12 or 18 months and then stop them, hoping your thyroid will now stay normal. That happens 40 percent of the time. Lovely outcome. No surgery, no radioactive iodine, no ongoing need for thyroid hormone replacement. But only 40 percent of the time does that occur. The other 60 percent, your thyroid levels go back right up to where they started before. It's a personal choice, how much you really don't want to take radioactive iodine, how much you really don't want surgery and how optimistic you think you're going to be with a trial of the medication. It's a tough decision, and you need to sit down with your primary care practitioner and your endocrinologist, consulting physician and think about how the three options would best suit your wishes in your own lifestyle. 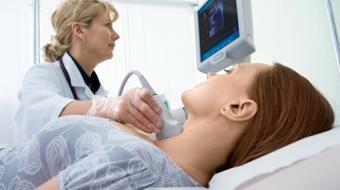 For patients who have hyperthyroidism there are 3 main treatments to choose from. Thyroid removal from surgery is the 'oldest' treatment method of hyperthyroidism after newer options such as taking radioactive iodine and anti-thyroid drugs. Taking radioactive iodine is meant to kill off the thyroid gland in order to stop the overproduction of thyroid hormone in the body. 40% of patients who on the anti-thyroid drug have a chance of having a normal functioning thyroid once they stop taking this medication.